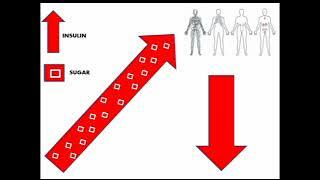 Thyroid hormones T3 and T4 is discussed in relation to the adrenals, the liver and in the case of gluten sensitivity. T3's job basically is to give signals to cells to form a function but may not be able to do its job when certain conditions exist. High cortisol levels, gluten sensitivity, a sluggish liver and fluctuations in blood sugar all contribute to thyroid problems. Thyroid hormones and the heart. 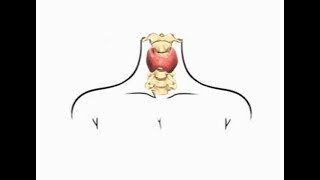 The thyroid gland is composed of two lobes that bestride the windpipe in front of the neck. The two hormones produced by the thyroid, T4 and T3, the numbers denoting the number of iodine atoms, have different functions. T4 is inactive, circulating in the blood until it is broken down by enzymes to T3, the active thyroid hormone which enters the cells such as the bones, heart, liver, etc. When T4 is getting low in the blood the pituitary gland is activated to secrete TSH, also known as thyroid stimulating hormone. This is the hormone that, when released from the pituitary, tells the thyroid to make more T3, which again enters the blood. Along their journey in the bloodstream, T4 and T3 will eventually meet up with the organs of the body they are created to work upon. For example, on the surface of the heart are areas called receptor sites which are designed specifically to enter the heart and activate the mechanism which tells the heart how fast to beat. T3 can do this because it has the ability to enter the nucleus of a cell through the action of a special binding protein. This results in DNA transcription which is instructions for the heart. Sometimes we get so busy we don't even notice the slippage of our energy until it can't be ignored anymore. Symptoms may be sending you signals to make some changes. It may be time to take action to manage stress better, change your diet, start exercising, etc. If you're suffering from adrenal fatigue, whether from toxic contamination or stress, the rewards of a few simple changes far outweigh any initial difficulty. When any kind of stress arrives on the scene the adrenal glands will start producing cortisol. A small increase of cortisol is normal and healthy but prolonged elevated levels of cortisol can have troubling effects. For example, high cortisol levels tend to depress the thyroid which affect other body systems (hormonal imbalances, digestive problems, even osteoporosis). 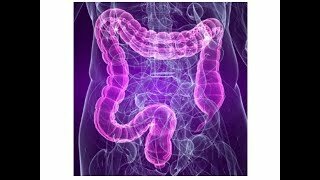 If you are gluten sensitive this can be the problem and more often than not, adrenal fatigue is the culprit. Stress and high cortisol are dangerous to body systems: The role of thyroid. When any kind of stress arrives on the scene, the adrenal glands which sit atop each kidney, will start producing the stress hormone cortisol in order to send messages to particular body systems. A small increase in cortisol production is normal and healthy but prolonged elevated levels of cortisol can have troubling effects. For example, high cortisol tend to depress the thyroid which affects other body systems like the heart, the liver and the bones. This is why a woman might have palpitations during and after menopause when the hormones tend to get a little wacky and unbalanced. Or digestive problems due to increased cortisol to the liver. Or osteoporosis as prolonged and increased stress and cortisol levels trigger removal of calcium from the bones. 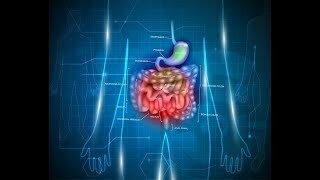 Thyroid hormone (T3) and cortisol compete for entry into the liver... The liver is the largest gland in the body, probably because it performs many important functions. One of its jobs is to convert T4 to T3 (the active thyroid hormone) responsible for regulating our metabolism, our body temperature and our energy. If the liver is overloaded from the effects of stress, for example, excess cortisol from the adrenals, this is a case of congestion and happens because cortisol also fits in the receptor sites on the liver in the same way T3 does...but doesn't function at all. HTMA is a screening tool that can be applied in any phase of therapy and any area of the health care field. If you are suffering from an illness or syndrome and the cause cannot be identified through ordinary testing procedures, or if therapy is not completely effective, hair analysis can be very helpful. HTMA reveals a unique metabolic world - cellular metabolic activity - which is unattainable through most other tests. HTMA can help pinpoint metabolic disturbances as well as indicate the appropriate corrective clinical approach. HTMA measures the levels of 36 minerals in the hair, and indicates mineral imbalances, deficiencies and excesses. 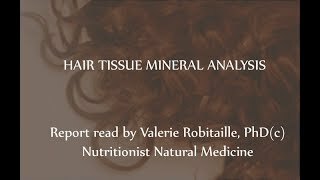 Because hair is a rapidly growing soft tissue, it can be sampled easily and safely, and provides a unique, biopsy-type reading of metabolic activity. What is gluten? 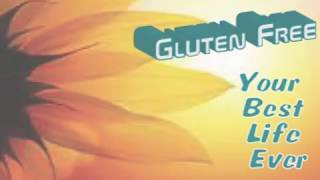 A detailed look at what gluten can do to your body if you are gluten-sensitive, how to determine your sensitivity and what foods contain gluten. Also suggestions for eating properly if you are sensitive. Tonsil Stones 25 Articles FREE – https://forms.aweber.com/form/10/1215437910.htm ARTICLE TITLES: Constant Foul Breath And Tonsil Stones Diagnosing Tonsil Stones Diseases/Illnesses That May Bring About Tonsil Stones Easy Throat Examinations To Detect Tonsil Stones Effects Of Tonsil Stones Genetics And Tonsil Stones How Do Tonsil Stones Develop In The Respiratory Tract? How To Manage/Get Rid Of Tonsil Stones How To Prevent Tonsil Stones How To Tell If You Are Suffering From Tonsil Stones Despite Not Showing Symptoms Oral Hygiene And Tonsil Stones Reasons Why Tonsil Stones Emanate Bad Odour Recurrent Tonsil Stones Self-Esteem Struggles Brought About By Tonsil Stones Size And Shape Of Tonsils And Their Correlation With Tonsil Stones Surgical Treatment For Getting Rid Of Tonsil stones Symptoms Of Tonsil Stones The Different Kinds Of Tonsils And Their Functions The Dynamic Sizes Of Tonsil Stones Tonsil Stones And Tonsillitis Tonsil Stones In Children Ways That Tonsil Stones Are Contagious What Are The Causes Of Tonsil Stones? What Are Tonsils And Tonsil Stones? Who Can Be Affected By Tonsil Stones? Healing The Thyroid – Thyroid hormones T3 and T4 is discussed in relation to the adrenals, the liver and in the case of gluten sensitivity. T3’s job basically is to give signals to cells to form a function but may not be able to do its job when certain conditions exist. High cortisol levels, gluten sensitivity, a sluggish liver and fluctuations in blood sugar all contribute to thyroid problems. Healing The Adrenals – Sometimes we get so busy we don’t even notice the slippage of our energy until it can’t be ignored anymore. Symptoms may be sending you signals to make some changes. It may be time to take action to manage stress better, change your diet, start exercising, etc. If you’re suffering from adrenal fatigue, whether from toxic contamination or stress, the rewards of a few simple changes far outweigh any initial difficulty. When any kind of stress arrives on the scene the adrenal glands will start producing cortisol. 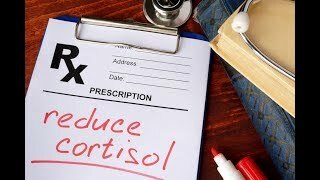 A small increase of cortisol is normal and healthy but prolonged elevated levels of cortisol can have troubling effects. For example, high cortisol levels tend to depress the thyroid which affect other body systems (hormonal imbalances, digestive problems, even osteoporosis). If you are gluten sensitive this can be the problem and more often than not, adrenal fatigue is the culprit. 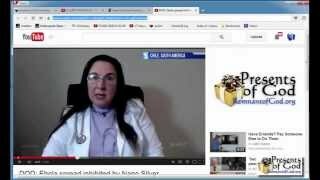 Thyroid Hormones (T3 and T4) And The Heart – Thyroid hormones and the heart. The thyroid gland is composed of two lobes that bestride the windpipe in front of the neck. The two hormones produced by the thyroid, T4 and T3, the numbers denoting the number of iodine atoms, have different functions. T4 is inactive, circulating in the blood until it is broken down by enzymes to T3, the active thyroid hormone which enters the cells such as the bones, heart, liver, etc. When T4 is getting low in the blood the pituitary gland is activated to secrete TSH, also known as thyroid stimulating hormone. This is the hormone that, when released from the pituitary, tells the thyroid to make more T3, which again enters the blood. Along their journey in the bloodstream, T4 and T3 will eventually meet up with the organs of the body they are created to work upon. For example, on the surface of the heart are areas called receptor sites which are designed specifically to enter the heart and activate the mechanism which tells the heart how fast to beat. T3 can do this because it has the ability to enter the nucleus of a cell through the action of a special binding protein. 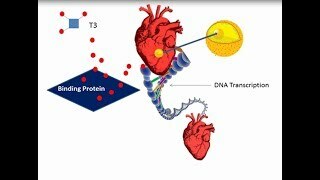 This results in DNA transcription which is instructions for the heart. 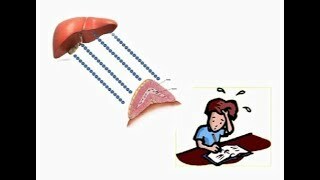 Effect Of Stress (Cortisol) On The Liver – Thyroid hormone (T3) and cortisol compete for entry into the liver… The liver is the largest gland in the body, probably because it performs many important functions. One of its jobs is to convert T4 to T3 (the active thyroid hormone) responsible for regulating our metabolism, our body temperature and our energy. If the liver is overloaded from the effects of stress, for example, excess cortisol from the adrenals, this is a case of congestion and happens because cortisol also fits in the receptor sites on the liver in the same way T3 does…but doesn’t function at all. 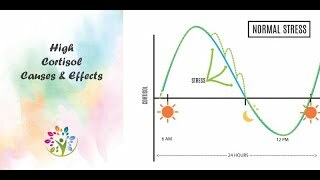 Stress, High Cortisol And Thyroid – Stress and high cortisol are dangerous to body systems: The role of thyroid. When any kind of stress arrives on the scene, the adrenal glands which sit atop each kidney, will start producing the stress hormone cortisol in order to send messages to particular body systems. A small increase in cortisol production is normal and healthy but prolonged elevated levels of cortisol can have troubling effects. For example, high cortisol tend to depress the thyroid which affects other body systems like the heart, the liver and the bones. This is why a woman might have palpitations during and after menopause when the hormones tend to get a little wacky and unbalanced. Or digestive problems due to increased cortisol to the liver. Or osteoporosis as prolonged and increased stress and cortisol levels trigger removal of calcium from the bones. What Are Tonsils And Tonsil Stones?